We are your perfect partner from simple to advanced and complicated websolutions. Interested in optimising your email communications? Do you want to send the right message at the right time? Our eSolutions (websites, from simple, straight forward websites to advanced and complicated systems are state-of-the-art. Most of the esolutions we create are using Concrete5 CMS. We have been building spiders for over a decade, initially starting with simple php, then enhancing it to C# and lately most of the spiders are using Python. Our system is one of the few that allow you to embed images directly in your emails. It means that recipients will see your visuals right away, without having to click on a 'download images'. Ensuring the best User eXperience for your audience! Website for Mopedique, professional pedicure active in the area Arnhem-Noord, Rozendaal & Velp. She provides high-quality foot care with personal service touch. By providing regular good foot care she can help with (pain) complaints and the prevention of this. She works exclusively according to the pedicure code for foot care with professional instruments, according to the latest techniques and only with high quality products. Treatments can take place at your home or in her practice. Treatments at your home can be scheduled after consultation. Key services offered: Resource mobilization/institutional funding. Project design and management. Organizational development/change management. Team management and leadership. Are you ready to explore what InDis can mean for your business or organisation? International company, two European locations. We Provide Amazing Support. 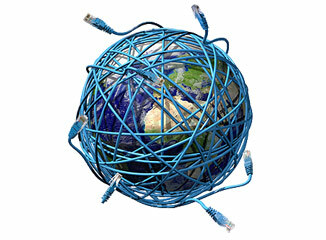 We can create the best internet solution for you.